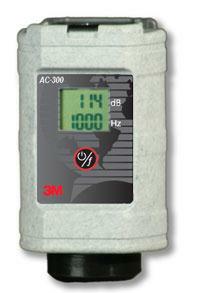 Type 1 calibrator for use with 3M Sound Level Meters and Noise Dosimeters. Jaco Aerospace and Industrial is your one stop resource for 3M(TM) AcoustiCAL AC-300 Calibrator, 1/Case and all of your 3M Products, Tapes, aerospace and industrial needs. SKU Marketplace Product Description: Type 1 calibrator for use with 3M Sound Level Meters and Noise Dosimeters.